The best supplement companies are built to last. GAT has been around for nearly two decades, helping a wide range of athletes achieve what once seemed unimaginable. Here's their story! As with many of today's most successful supplement brands, the story of GAT starts with a single product. 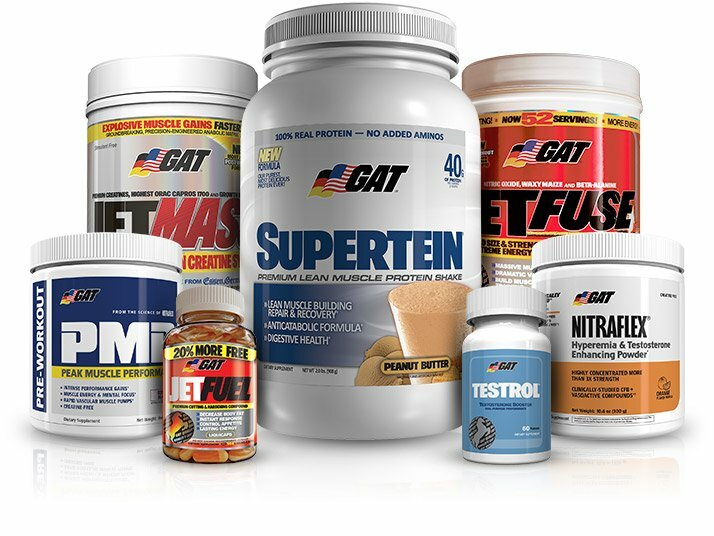 In 1997—a lifetime ago in supplement-industry years—GAT founder Charles Moser had an idea for a diet-and-energy product called JetFuel, which could help everyone from the bodybuilding pros to everyday fitness enthusiasts power through the difficult battle to lean out. Almost 20 years later, both JetFuel and Moser are still in action, but GAT (which stands for German American Technologies) has expanded to provide far more than energy products. The supplement pioneers now offer dozens of products geared to fit the varied needs of today's athletes, and its roster of athletes contains some of the recognizable physiques in their sports. There's the huge, such as Mamdouh "Big Ramy" Elssbiay, but also the mighty, like immense strongman Robert Oberst. 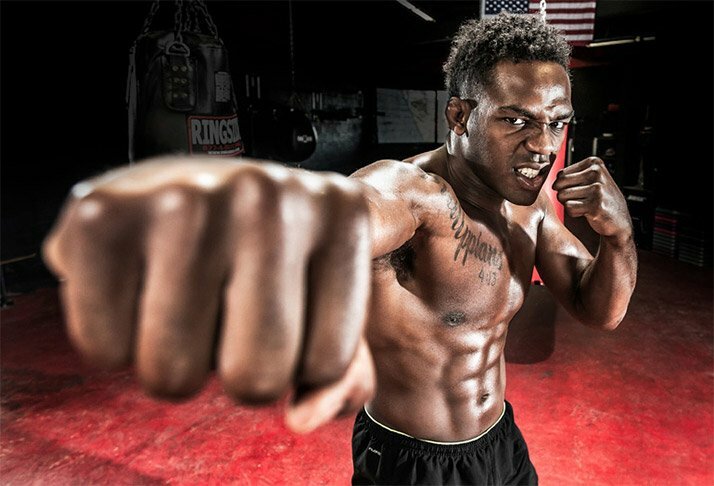 There's the chiseled, such as 2015 Arnold Classic physique champion Sadik Hadzovic, but also the fierceness of MMA superstar and former world light-heavyweight champion Jon "Bones" Jones. GAT vice president Mark Post and Jones both spoke with Bodybuilding.com about all things GAT. How was your company started, and what was the first product you launched? My background in the fitness/nutrition industry stemmed from my weight training as a teen and then being inspired by Bill Phillips and his magazines in the early '90s. I became a bodybuilding enthusiast, which led me to see the need for a high-quality fat burner and energy supplement. That supplement was JetFuel, an encapsulated diet and energy formula that was our breakthrough product. Sales took off, which allowed the brand to grow and for us to introduce more products. We've been growing ever since. Today, I work very closely with both GAT's president and our marketing team in creative, advertising, and brand development to help us reach more athletes who aren't willing to compromise when it comes to results. What does an average day for you or your company look like? At GAT, our team and I are very involved in the advertising, design, and marketing of our brand through print, digital, and social media. We are constantly developing new products and tasting samples of products almost daily to get the flavoring just right. We are in constant contact with our retailers, sales, and demo teams in the field, as well as consumers. Every day brings new challenges and new opportunities. What are some of your top products that our readers should know about? Our top selling product by far is Nitraflex. It's the industry's top-selling testosterone-supporting, high-intensity pre-workout. JetFuel remains a top-selling fat-burning brand in the industry as well. Our newest and extremely successful product is PMP. It's another pre-workout, but developed more for functional sport athletes in training than specifically strength training or bodybuilding. PMP delivers performance across a wider athlete group and provides steady energy for a longer duration. Any new products in the works you'd like to tell readers about? GAT will be launching our first weight-gainer product, named Radical Mass, at the upcoming Arnold Sports Weekend. In 2016 we will be delivering RTDs, new flavors for PMP, and more protein products as well. What's the best part about working in the supplement industry? One of the best parts of the supplement industry is witnessing the innovations that happen in product development every year. It's so exciting to see better products coming out all the time for athletes to improve themselves. Of course, the athletes themselves are just as exciting! And they have even more ways to compete. In the case of bodybuilding, it has expanded into the new classes of physique, bikini, and now the newest division, classic physique. This has been such a boost for our industry. One of the best parts of the supplement industry is witnessing the innovations that happen in product development every year. Why should customers give GAT a shot? GAT has stood the test of time for a reason: We deliver results. Today, thousands of top athletes in every sport use GAT, and our new products launched last year at Olympia have already taken the industry by storm. We are reaching new consumers every day. If a new customer can afford only one product, which one would you recommend? Because we offer multiple pre-workouts for different athletes, it can be hard to pick one for somebody without knowing them and their needs. Depending on the customer, Nitraflex pre-workout could give them the intensity they want, or PMP could help deliver performance. Each one is ideal for somebody. I started out in wresting in middle school and had great success through high school and college. I played some football, but I wasn't anywhere as good as my brothers [who played in the NFL]. Of course, now I'm a fighter in the UFC and have been a world champion in the light-heavyweight division. I am a Team GAT Athlete, and my role to promote GAT products is easy because I use them in my training. I play a big part in promoting GAT through trade-show appearances and sharing my life experiences on social media. I am a Team GAT Athlete, and my role to promote GAT products is easy because I use them in my training. What was it about GAT that made you want to be a part of the company? The group of athletes GAT had assembled really excited me. I wanted to be a part of them. Their physiques and the dedication they have to earn those physiques was inspiring. What supplements do you currently use, and why? I use many supplements now, thanks to the program Mark Post from GAT has started me on. I take a complete regimen of supplements two times a day, including fish oil, a men's multi, probiotics, liver cleanse, digestive enzymes, and BCAAs. I drink GAT PMP pre-workout before training, Amino GT amino acids during my training sessions, and after workouts I drink Supertein mixed with glutamine. At night I use Zmag-T to help me relax. Why should potential customers of Bodybuilding.com choose GAT as their supplement company of choice? I've used GAT for my training, and I have seen immediate results in my strength and performance. My body has responded amazingly well to GAT supplements. I feel great, and the gains I'm experiencing on their supplement program is helping me take my training to another level.